The Audacity of Hope or The Mendacity of Hope? Two Views of Obama. Unemployment’s still high, we’re still at war, and the banks are still playing fast and loose with other people’s money. Has Obama failed — or has he just not yet hit his stride? WV talks with Roger Hodge about his book, THE MENDACITY OF HOPE and with Sasha Abramsky about his book, INSIDE OBAMA’S BRAIN. Each author has a radically different take on our 44th president. 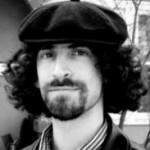 In addition to Inside Obama’s Brain, Sasha Abramsky is the author of American Furies, Breadline USA, Conned, and Hard Time Blues. Obama has been president now for more than two years; ample time to get a better bead on the question — were his promises mere pretty words or did he deliver? Have we had real change or more of business as usual? Roger Hodge thinks the latter. In this interview about his book, THE MENDACITY OF HOPE: Barack Obama and the Betrayal of American Liberalism, he outlines how, despite Obama’s progressive rhetoric, he has “bailed out the banks, bailed out the insurance companies,” been timid on fulfilling environmental promises and failed to get ordinary Americans back to work. Hodge says the disconnect between rhetoric and reality isn’t surprising, considering who Obama’s major campaign contributors were: Wall Street hedge fund owners, nuclear and coal interests, and corn ethanol agricultural magnates. 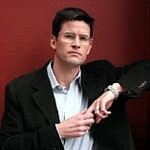 Hodge was the editor of Harpers Magazine until he got fired by the publisher in January 2010. Hodge took advantage of his sudden free agent status to write The Mendacity of Hope. OOPS! Correction from Show Audio: Francesca mistakenly called Obama the “45th” President. He is the 44th.